Home→Archive by Category "Our Work"
The Borden park swimming pool is a natural pool which is the first of its kind in Canada. A very special thing for the city of Edmonton. Unlike most pools which are treated with harsher chemicals, filtration, and chlorine this naturally treated pool relies on sand and granite filters, plants and algae to maintain the water and keep it safe for the public. 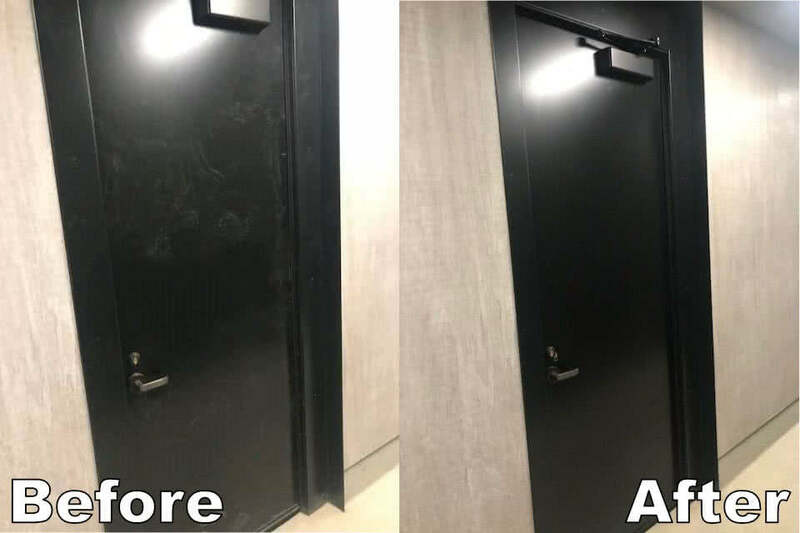 Here we can see a before and after shot of one of the doors at the Borden Park Facility. Red Door Cleaning had the opportunity to do the post renovation cleaning for this amazing Natural Pool located right here in Edmonton! Here are some before and after photos for your viewing pleasure. We were given this renovation cleaning task as we use safe, non-toxic eco-friendly anti-bacterial cleaning products. 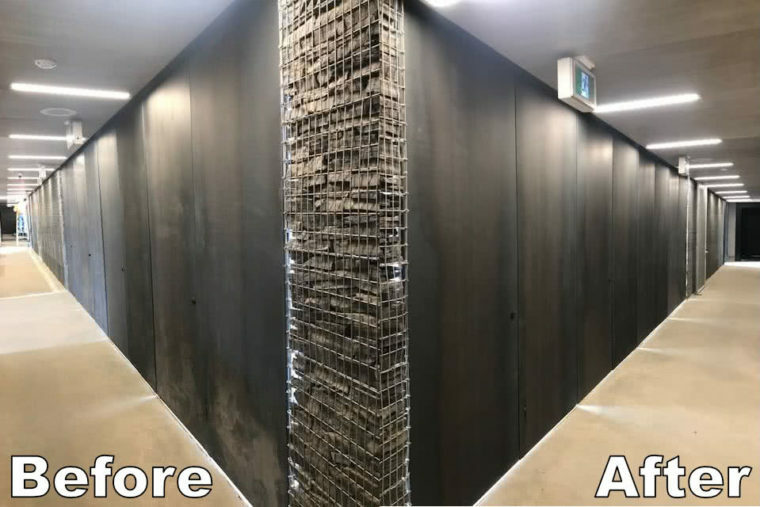 This is an example of what can be accomplished with our cleaning methods. And as a truly Canadian company we like to use 100% Canadian made environmentally friendly products for all our jobs. As you can see in these photos there are layers and layers of dust which was thoroughly cleaned. We take pride in what we do and wish to share that with you! We were very excited to prepare this location to be ready for public use. The pool requires additional guidelines that are needed to maintain the ecosystem of this natural pool. As this is a natural swimming pool in Edmonton we wanted to ensure that all debris and dust have been cleaned as contamination can pose a risk to the public and to the pool itself. As community members, admission to all City of Edmonton outdoor pools are free during this summer. This pool opens to the public Wednesday July 11, 2018, so this would be an amazing chance to check out this stunning pool.